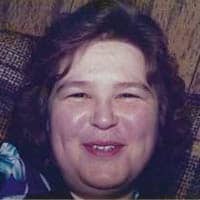 Deborah Lynn Tawney, 64 of Pembroke, departed this life Monday, March 11, 2019, at her home in Maybrook, Virginia under the care of her family, hospice, and beloved caregiver. Born on August 5, 1954, she was a daughter of the late Spencer and Thelma Dunn. She had been employed at Federal Mogul in factory production. She was preceded in death by her parents. She leaves to cherish her memory her husband, Bobby Joe Tawney, daughter Jennifer Accord (Glenn) of Christiansburg, Virginia; son Joshua Tawney of Ohio; her brother Spencer “Sonny” Dunn of Christiansburg; sister Patricia Gregory of Salem; her grandchildren Matthew Accord, Ashland Accord and Garrett Accord. The family wishes to also give special thanks to her sweet caregiver Diane Huffman for all of the care and love shown throughout this time. Bobby and family, I am so sorry for your loss. Praying for your family.